Two products in one convenient package compatible with many shorter length DSLR zoom lenses. 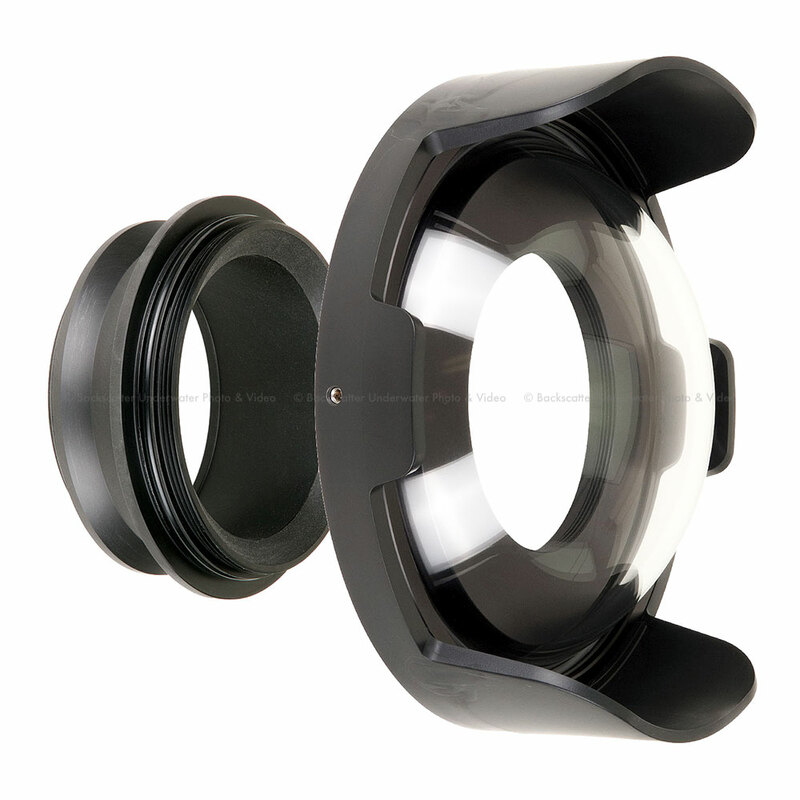 The injection molded acrylic 8-inch diameter dome is specifically designed for underwater photography to provide superior optical performance. Compared to a smaller 4- or 6-inch diameter dome, the larger diameter reduces edge distortion on pictures taken with certain super-wide angle lenses and makes shooting over-under shots (half-in, half-out of the water) easier. Domes are ideal underwater for shooting wide angle lenses. If you're shooting a macro lens, we recommend using the Modular Glass Flat Front instead. Measure your lens or Use our Port Finder to determine compatibility and choose an appropriate Lens Extension.